The starlet, who arrived in PHL yesterday, is all but addicted to Pilates. We're willing to bet she'll find her way to a Philly studio sooner or later. Question is: which one? By Courtenay Devlin·	 7/18/2012, 4:10 p.m. If you are not aware of Miley’s slight obsession with Pilates, then I suggest you spend a little more time leafing through People and Us Weekly while in the checkout line. The fact of the matter is that the star has been in the ‘news’ a lot lately for her newly toned physique. People was so interested in the story that they tracked down Cyrus’ trainer, Pilates-instructor-to-the-stars Mari Winsor, to discuss Miley’s fitness regimen. She told the mag that Miley attends classes almost daily, and her sessions include work on the reformer, mat exercises and stretching. Fascinating stuff, really. And further proof: a crappy, pixelated pic of Miley walking her bulldog near an unidentifiable underpass. Obviously, with a wedding on the horizon, Miley is going to be sticking to her Pilates regimen during her trip to Philly. And quite honestly, with dozens of terrific Pilates studios in the area, she has no excuse not to. So now it’s our turn to speculate where Miley will be getting her sweat on in The City of Brotherly Love. Thrive Pilates: Thrive shares an address with Philly Power Yoga, so it could be Miley’s one-stop shop to work out and get Zenned out without leaving the building. A private session at Thrive would mean 55 full minutes of instruction tailored 100 percent to Miley’s workout needs. Ploome: I could totally see Miley getting her sweat on at Ploome’s gorgeous NoLibs studio. A one-on-one sesh would allow her to try out Ploome’s Pilates apparatus without any creepo paparazzi hanging around. Or she could brave the crowd and release her inner beast (yikes?) at an animal-inspired Pilates apparatus class. Plus, it’d be for a good cause: Proceeds from Ploome’s classes go to its sister organization REQ.1, which fights gender-based violence, and Miley’s all about improving lives. bodyLOGIC: For a smaller-sized class, Miley could check out bodyLOGIC at one of three studios around the city and get her stretch on at a 75 minute stretchLOGIC session. 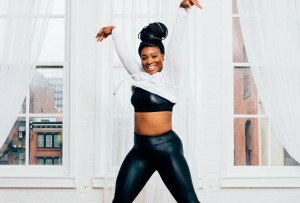 No, it’s not exactly Pilates, but this made-in-Philly class focuses on balancing strength and flexibility, including core work on the mat, work on barre, and lots of stretching—all up Miley’s alley. Class size caps out at ten students, small enough to keep the star’s presence on the down-low. Unless Miley brought her trainer along for the trip (tabloids recently published that she does so at a hefty pricetag of $200 an hour, though I’m not buying it), I think the Sporting Club is Miley’s best bet. The gym was named one of The Most Luxurious Fitness Clubs Across America by CNBC in 2010, after all. Quite the classy affair. Where do you think Miley should get her Pilates fix during her stay in our city? Share in the comments!